AMIAYA / Major Debut in 63 Countries! 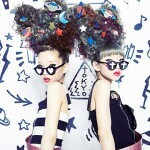 AMIAYA, a charismatic model unit of twin sisters, is making their major debut as an artist unit on 1/23/2013 from Far Eastern Tribe Records, a music label by Universal Music. AMIAYA’s major debut mini album “TOKYO POP” is not only about music alone, but also about arts and fashion culture that it deserves to be called a ‘new genre’ of expression. 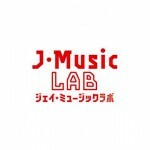 Prior to the official release of “TOKYO POP,” digital download service for ‘PLAY THAT MUSIC’ will begin on 12/13/2012 in 63 countries including Japan. AMIAYA will be participating in “Big Mountain Music Festival ’12” to be held at Khao Yai National Park in Thailand on 12/8/2012. This is just the beginning of AMIAYA’s journey to spread the new music culture of Japan to the whole world with “TOKYO POP”! AMIAYA concert in Indonesia on her birthday.